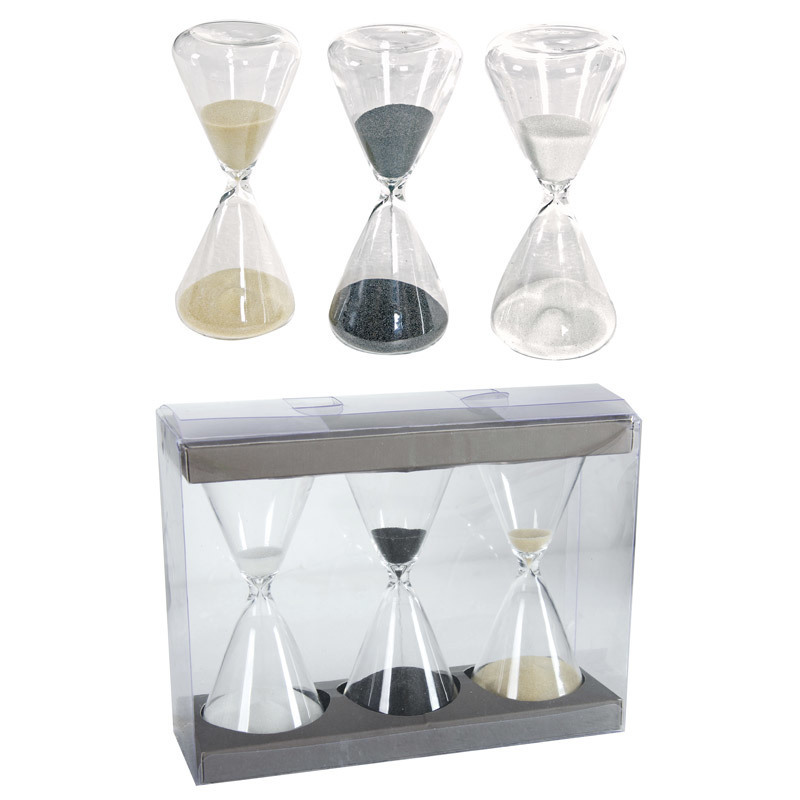 Simplified to feature only the symmetrical glass and colored sand, these Hourglasses Set of 3 come in miniature sizes. Each hourglass drops sand for about ten minutes. The collection includes hourglasses with white, black and bisque colored sand.